. 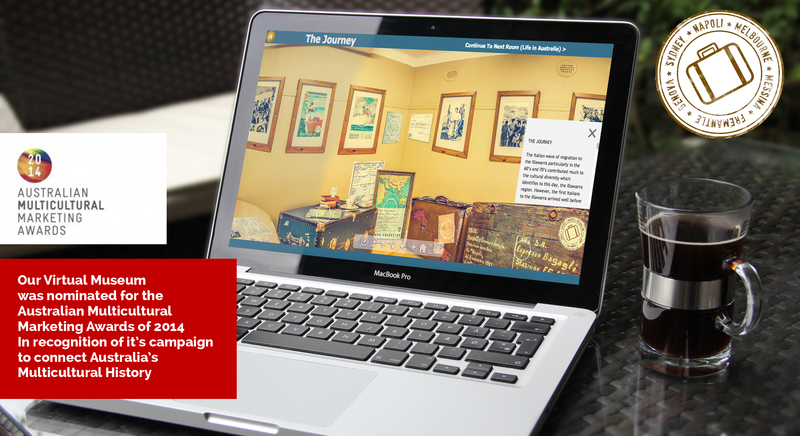 The aim of the Virtual Museum is to collect, protect and celebrate Italian heritage and resettlement experiences of Italian immigrants and their families from the 1940’s onwards in the Illawarra. The Illawarra region, outside Sydney, has the highest concentration of population of Italian heritage. The 1966 ABS Census indicates that at the peak of Italian immigration, there were 5,809 Italian born persons living in the Illawarra. According to the 2011 ABS Census that number has reduced to 3,412 due to the inevitable ageing process. The VMIII acknowledges the diversity and wealth of the Italian culture. It recognises the right to a dual-belonging. If you have any historical material, for example: old photos, objects, letters, documents from your arrival in Australia etc and would like to tell your story do not hesitate to contact us!